China has achieved rapid economic growth since the market-oriented reform in 1978 and became the second largest economy in the world in 2010. However, the growth model in China is still extensive in nature and may be characterized with high energy consumption and heavy environmental pollutions etc. In fact, China has successively become the largest carbon emitter since 2007 and the largest energy consumer since 2009 in the world. This book endeavors to analyze whether such energy driven and environment restricted economic growth can be sustainable in China in the long run. The book describes the basic situations of energy consumption and environmental pollution in China from the dimensions of industries, regions and energy-types. It also introduces the evolution of energy and environmental policies implemented in China. 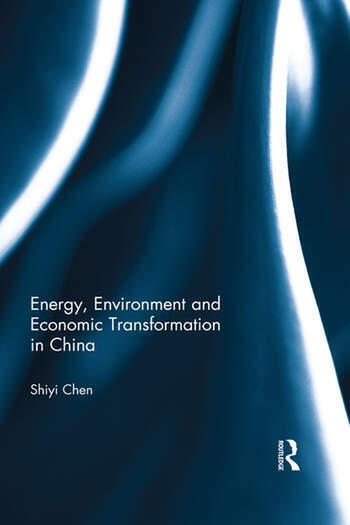 In particular, this book makes use of the environmental activity analysis model to assess the sustainable transformation of economic model in Chinese industries and regions. This model captures the negative externalities of pollutants and estimates the environmental total factor productivity accurately. The possibilities of win-win development and double dividend are also forecasted. This book proposes new methods to measure the environmental total factor productivity, evaluate the process of low carbon transformation, quantify the structural bonus, estimate the abating cost and forecast the win-win development and so on. Researchers may find these methodologies useful for measuring other pollutants and for analysis in other countries. Shiyi Chen is Professor of Economics at Fudan University and a visiting scholar at Humbolt University zu Berlin, Germany. He is currently working as a research fellow at China Center for Economic Studies, Fudan Development Institute and Fudan Tyndall Centre, and director of Shanghai-Hong Kong Development Institute. He holds a PhD in Econometrics at Kyungpook National Univerity, Republic of Korea. His research interests are in econometrics, energy/environment/development economics, international finance and public economics. He has published in English journals such as Quantitative Finance, Journal of Forecasting, China Economic Review and top Chinese journals.